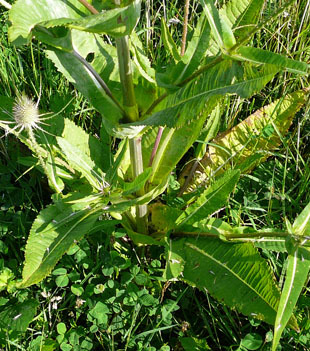 It is found throughout the country but is patchy in the North. 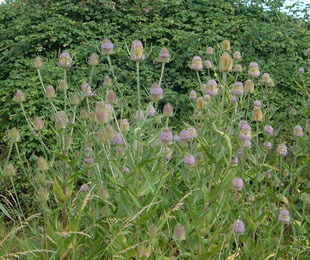 hedges and by roads and paths. 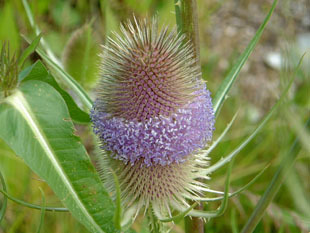 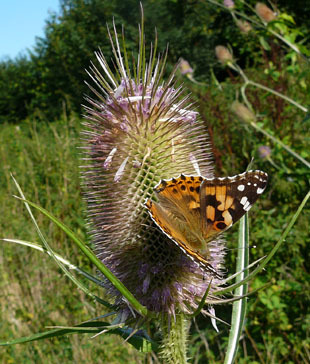 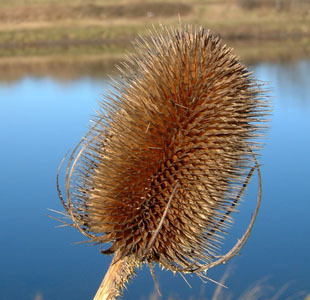 Wild Teasel is a native, stiff, biennial herb, growing up to 3m. 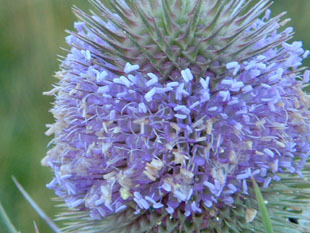 The small flowers are in a flowerhead (capitulum) up to 8cm. 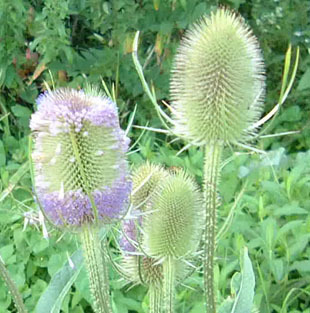 a blue-purple corolla made up of 4 petal lobes. 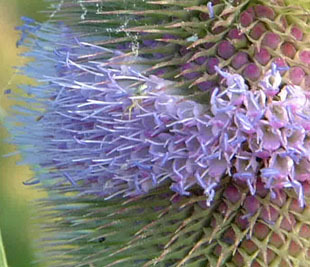 Flowers have 2 stamens and a style with an oblique linear stigma.